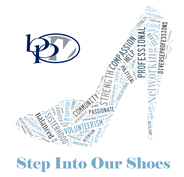 BPW’s mission – to achieve equity for all women in the workplace through advocacy, education and information – is carried out through our general membership meetings, leadership development programs and special events. Signature activities for 2015-2016 include the Individual Development and Young Careerist programs, PosteriTea on August 22, the Working Women’s Fall Forum on October 21, and Unhappy Hour observing Equal Pay Day in April 2016.
speakers (mostly women) whose topics or life stories are geared towards working women and align with BPW’s legislative platform: support of the Equal Rights Amendment; economic equity, opportunity and self-sufficiency; education; and healthcare. BPW/St. Petersburg-Pinellas meets on the first and third Thursdays of each month. Guest speakers are invited to deliver a 15-20 minute keynote presentation during the 1-hour luncheon meetings. When scheduling presenters, the 1st Vice President/Programs Chair considers national monthly observances and commemorations, issues facing working women at the local and national levels, current affairs, and matters that concern members as community citizens. Overall, we aim for a speaker and topic to underscore one or more of BPW’s three characteristic pillars – professional, personal and political.